1. 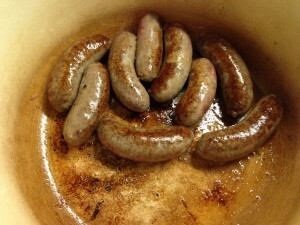 Venison sausages. 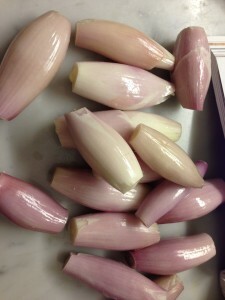 Try braised in red wine, with shallots, bacon and juniper. Just brown the sausages quickly in a casserole in a little oil, take them out, then brown some diced bacon, with peeled shallots and a couple of cloves of garlic, in the same pan, return the sausages to the pan with a couple of glasses of red wine, a little stock, dessertspoonful of lightly crushed juniper berries, sprig or two of thyme and a bay leaf. Simmer 30 minutes, then add some mushrooms for another 20 minute simmering and it’s ready. You definitely need some creamy mash with this…. 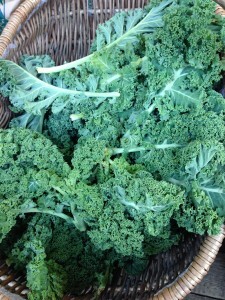 Our curly kale is so much springier and greener than the sad stuff from the supermarkets…. 2. Kale. Springy green and good for you, also delicious. Strip from the stalk. Plunge into fast boiling salted water for 2 minutes. Drain and cool quickly by plunging into cold water. Drain well. 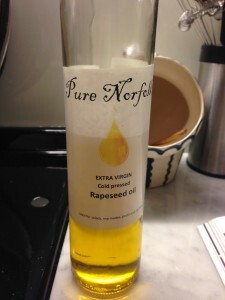 Then when ready to eat you can stir fry/reheat quickly with butter and salt and pepper; or with oil, lemon juice or cider vinegar, salt and pepper; or diced bacon, chilli and garlic…..
3. 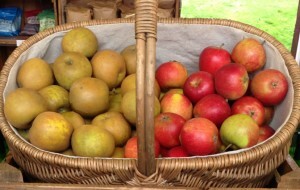 English apples. Although we are keen to get local Norfolk apples into our shops as early as possible, the different varieties don’t all ripen at once, and many taste better a little later in the season. Some varieties, such as the rough-skinned Egremont Russet, need time to develop their full aromatic flavour. Russets are brilliant cooked (they hold their shape, whether sliced and caramelised in a non stick pan with butter and a touch of sugar, to eat with pork chops, or just sliced into a tart) while of course Bramleys make that hot fluffy apple so great when baked or in a classic English apple pie.